Vitamins are essential organic nutrients and are necessary for body for normal functioning. The body cannot produce them and they must be entered through food every day all our life. They participate in numerous functions, specific chemical reactions and cellular metabolic processes. Vitamin C is found in fruits, and vegetables. He is responsible for the health of the heart and blood vessels which supply the muscles with nutrients and oxygen. Experts point out that the more you feed your muscles, that they will work better and faster to recover after physical exertion. Vitamin C plays a key role in building collagen, the substance that your body uses to build muscle and bone. The recommended daily dose of vitamin C is 75 mg, which you can get if you eat a medium-sized orange, half a cup of red peppers or strawberries. Fish oil is great for improving the effectiveness of strength training because it increases blood flow to the muscles, reduces consumption of protein from the muscles and speeds up the recovery process after training. Fish oil contains omega 3 fatty acids can also increase the body’s sensitivity to insulin, thereby preventing the onset of diabetes. It is recommended that every week you eat 3 servings of 95g of fatty fish such as salmon, tuna or sardines. If you are not a fan of fish, take 1000 to 3000 mg supplements of DHA and EPA fatty acids daily. Vegans omega 3 fatty acids found in flax seeds, nuts and products made from algae. Calcium is one of the most important nutrients. Body need calcium to build bones and muscles. Every time you do demanding physical movements, comes to muscle contraction which is credited with just calcium. The recommended daily dose of calcium is 1200 mg per day. Enter dairy products, green vegetables and fortified skim milk. If you are a fan of supplements, choose one that contains vitamin D, which the body is required for calcium absorption. Experts point out that cases of lack of magnesium in the body are quite common, especially in women. Magnesium is important because it keeps the heart and blood vessels and regulates heartbeat. Magnesium will help reduce spasms in muscles caused by strenuous exercise or premenstrual syndrome. The recommended daily dosage of magnesium is 310 to 320 mg daily. You need to know that there is nothing wrong with that if you increase your magnesium intake of those days when you exercise intensely. Except through supplements, magnesium can enter through the spinach, nuts and whole grains. B vitamins include various group B vitamins (B1, B2, B3, B6, B7, B12), and each is important for your body, especially if you want to increase the percentage of muscle mass. B vitamins play a key role in everything from the formation and absorption of protein, energy production to the construction of a healthy nervous system and degradation of fats and carbohydrates. 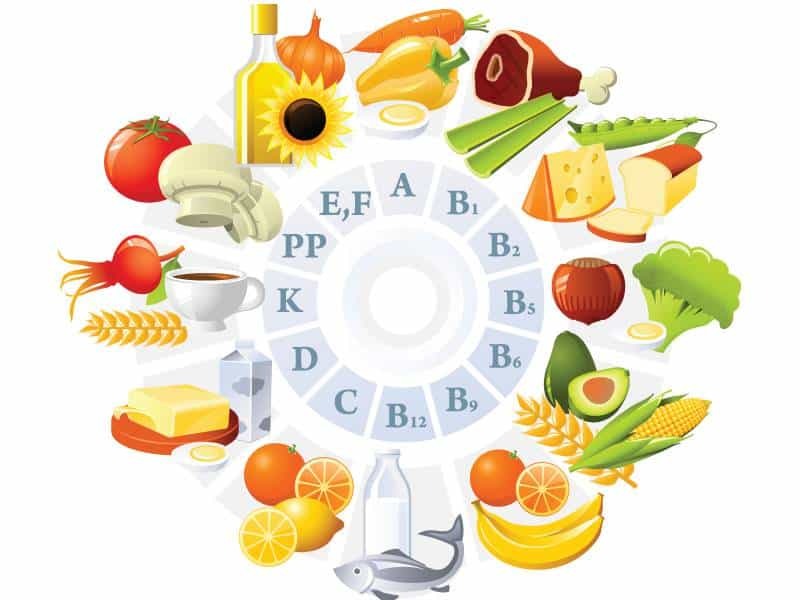 Most people take the recommended value of B vitamins through diet. B vitamins are found in many foods, including whole grains, eggs, nuts and leafy vegetables. However, vitamin B12 is found only in foods of animal origin and vegans and vegetarians need to take supplements or foods of vegetable origin rich in vitamin B12. The researchers note that vitamin D is one of the most important vitamins. It improves mood, strengthens the immune system, increases the percentage of muscle mass, regulates muscle contraction and muscle growth. It is also important for proper bone development. All in all, the vitamin D you need to enter through diet or exposure to sunlight. The ideal dose of vitamin D you get through exposure to sunlight. You need to know that the required dose of vitamin D varies from person to person. Thus, for example, the dose is not necessary in the development of children and adults. It would be best to consult a doctor. A handful of almonds will provide protein, healthy fatty acids, fiber, and vitamin E. The antioxidant properties of vitamin assists in the recovery of the cell membrane against oxidative stress, such as exercise. As your muscles before recovery, it will be you be able to return before the daily exercise.